Cheap flights from Frankfurt to Seoul, South Korea from €378 return! TUI Airways UK promo code: get £20 discount on all return flights! 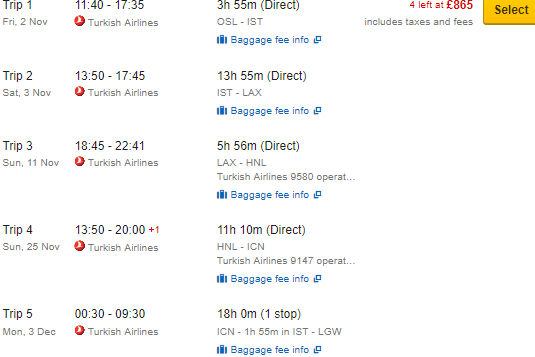 Round-The-World flights to Istanbul, Los Angeles, Hawaii & South Korea £865 / €964! Looking for an interesting Round-The-World flights consider this solution based on a Star Alliance carrier Turkish Airlines. Based on their service you can now visit California (Los Angeles and with day stop in Istanbul on your way) then Hawaii (Honolulu) and your last stop would be in South Korea (Seoul). RTW flghts departing from various European cities and returning back to London are available already for £865 / €964! All charges and fees and checked bag are included in base fare. The most intersting advantage is that this ininerary is build as one ticket. You would only need to book separate connecting one-way flight intra Europe…The cheapest option is when departing from Scandinavia, Italy. Benelux, France of Baltic states. This RTW solution with Turkish Airlines is valid for flights departing between January and June 2018. In some cases also in July. Max stay 3 months. Promo sale is available till end of December 2017 or until sold out / fixed. Below you can refer to our booking samples from various European cities. Moreover you can further discount your accommodation in Istanbul, Los Angels, Honolulu or Seoul using following promo deals. 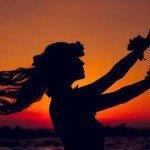 : Booking.com, Agoda or Hotels.com. Interested in RTW solution check out this deal to one of the most exotic and remote destinations incl. French Polynesia or Easter Island. Booking sample of Round-The-World flights to Istanbul, Los Angeles, Hawaii & South Korea £865 / €964! In this case you would depart from Oslo and return to London in UK. Reg. travel dates you can refer to our abovementioned sample itinerary.